Home » How To Access Future Treatments Now? Have you thought how far science has made it, in terms of advancing treatments for various conditions? There are many examples proving that and one of them goes back to 1199 when King Richard the Lionheart was struck by an arrow in his left shoulder. Today, we’d say he incurred a minor injury. But in 1199, in the absence of antibiotics and effective sterilization methods, his minor wound turned infected and gangrene set in. The only way to stop the spread of gangrene in 12th century Europe was to cut off the infected limb. However, the infection spread through Lionheart’s body and no one could help him. He died in great agony two weeks later. Even much later in the 19th century the best doctors still did not know how to prevent infection and many procedures were done without any anaesthetics. There were countless daily aches and ailments and inescapable deaths that modern medicine avoids through introducing innovative pills, injections and sophisticated operations. Nowadays, we have already achieved things that were inconceivable a few centuries ago. We all remember the recent end of AIDS and how researchers turned the HIV infection into a chronic condition that no longer threatens one’s life. In fact, all available treatments we know know, are due to insights gathered through clinical trials. 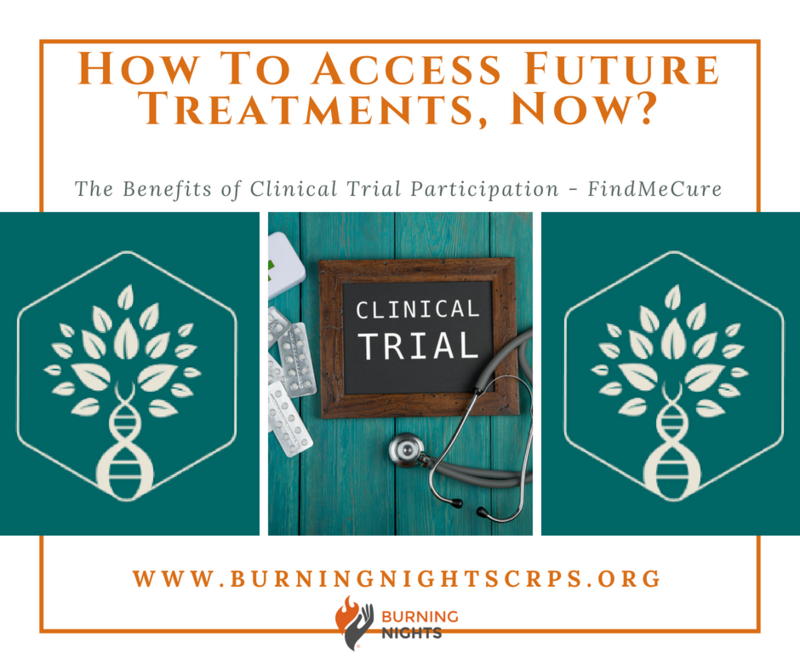 Clinical trials (also called clinical studies) are an integral part of the drug development process – without them, modern therapies would never reach the ones in need. They are a regulated way for patients to have an innovative treatment years before it is in the pharmacies or hospitals. Having been tested on animals, then healthy volunteers and then patients with a certain condition, a compound is then potentially turned into a promising medication that could change or even save one’s life. Researchers introduce the new future treatment to human patients but before that there were years of research in the laboratory on animals, human cells and nowadays even more on artificial human organs replicating our organism in one way or another. This means that by the time the clinical trial starts, the researchers have pretty good understanding of how the new compound or medical device is working and are comfortable to try and apply it to patients in order to prove this is working and is better than the already available treatments. 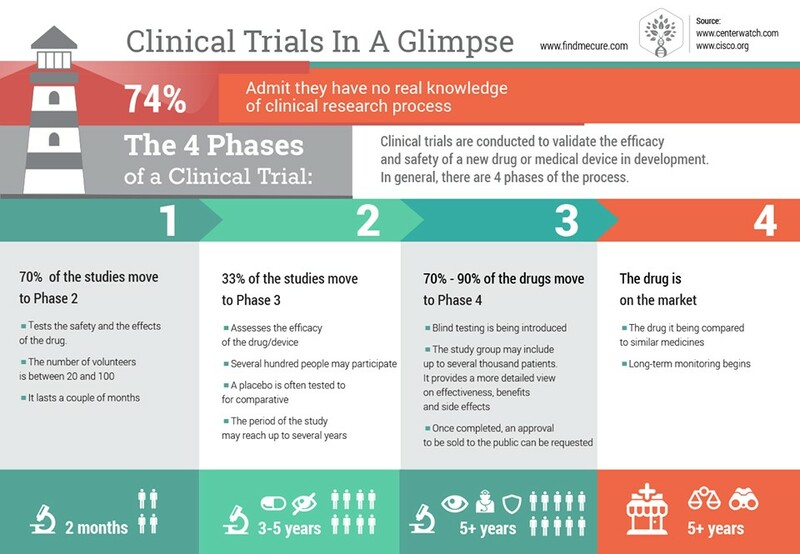 The clinical trial process is divided into four (4) phases: Throughout the future treatments study, information is collected to answer specific research questions on the safety, efficacy, side effects, how well the drug works compared to current standard treatments, etc. Trials can help researchers gain a better understanding of how a disease affects not only the human body, but also people’s lives and helps patients better understand their condition… all with the aim to deliver cures to rare, chronic and life-threatening diseases like Complex Regional Pain Syndrome (CRPS). One of the biggest challenges for patients is timing. For a new treatment to be discovered, evaluated and then approved to be on the market, it takes on average 13 years. Not everyone can wait that long, right? This is why clinical trials give a chance of these patients to benefit from the medical innovation much earlier, while it is being developed. It is sad, however, that only 15% of the population are aware of clinical trials being a treatment option for them. At the same time, what is really impressive, over 90% of the people who have already take part in such studies rank their experience highly and would recommend it to a friend. They want to contribute to the advancement of medicine by volunteering as study participants and many other motives. LET’S SPREAD AWARENESS of CRPS!